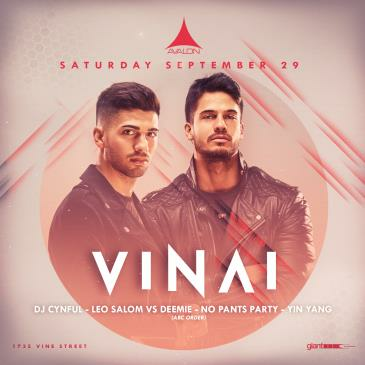 On September 29th AVALON is stoked to host the timeless house sounds of Vinai. Most recognized for their chart-topping singles “How We Party” and “Louder”, their pop influences and enormous “big room” sound have led them to conquer the international dance music scene and festival main stages alike. Producing collaborations with pioneers such as David Guetta and The Chainsmokers, the Italian brothers have scored huge #1s on Beatport with several leading singles. Vinai’s 2018 release “Everything I Need” continues to build on their big room sound, pulling dancehall influences and writing infectious melodies. 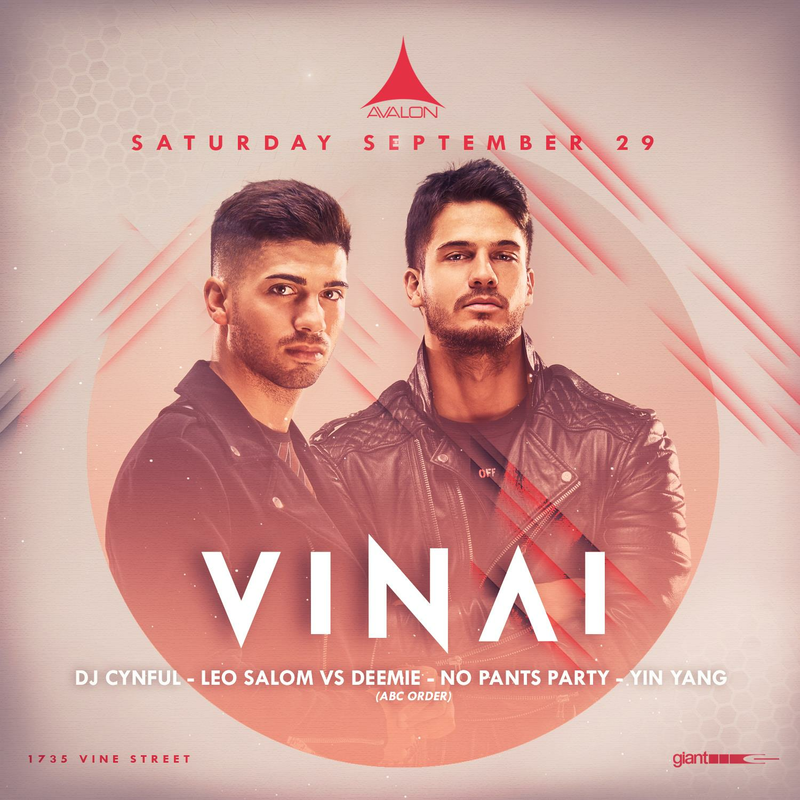 AVALON prides itself in hosting the most sought out current electronic acts, and Vinai’s headlining set is sure to bring the heat.